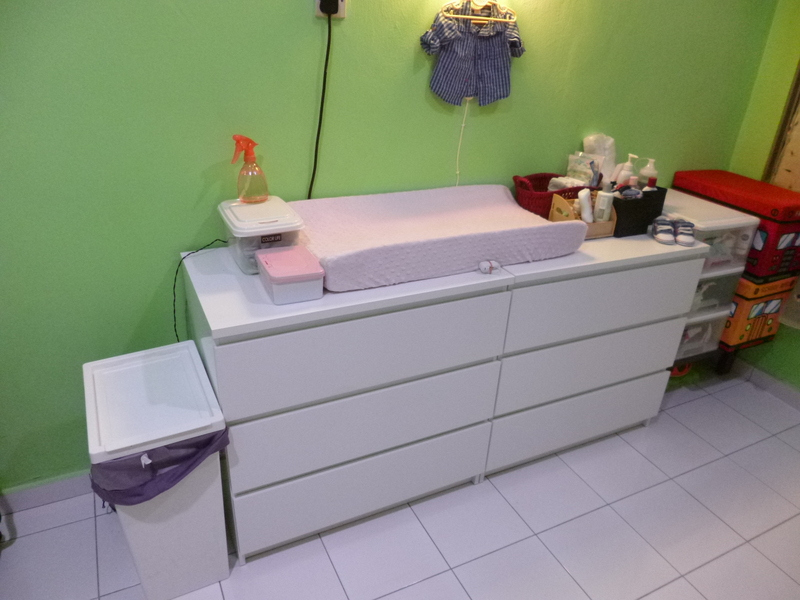 Please also know that most of these diapers are bought and in preloved conditions. 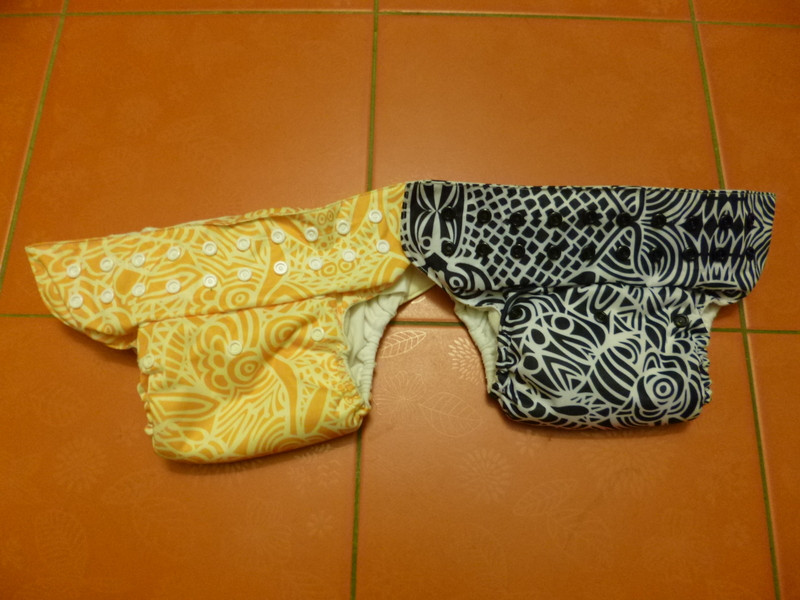 I am a believer of used cloth diapers and if taken care properly, these diapers have a high resale value. Alrightie! Let’s get right into it! Leo will be my model. He is 7 months old and weighs 9 kilograms. What I like: This diaper is probably the easiest to put on a Leo! 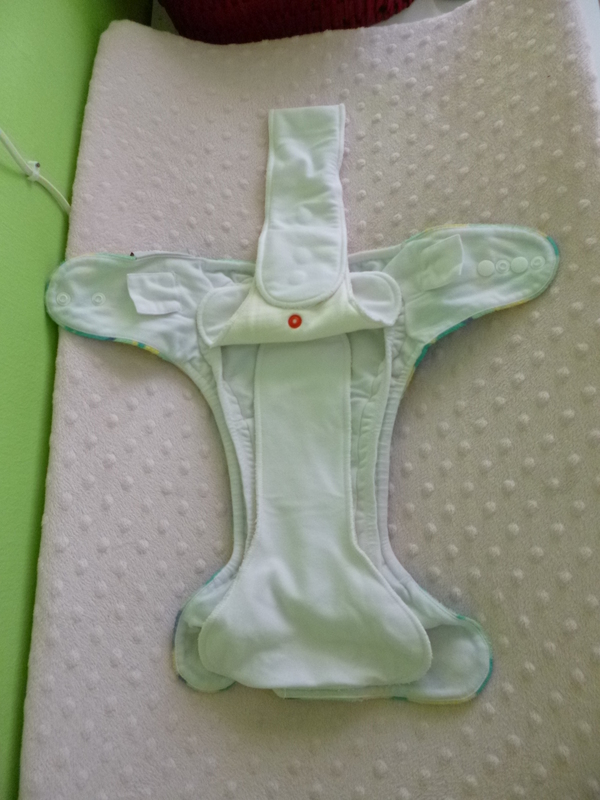 Only 2 horizontal snaps per side and no flaps/inserts/booster hanging out from the diaper. As you know, putting a diaper on a 7 month old squirmy baby is a challenge. LOL. 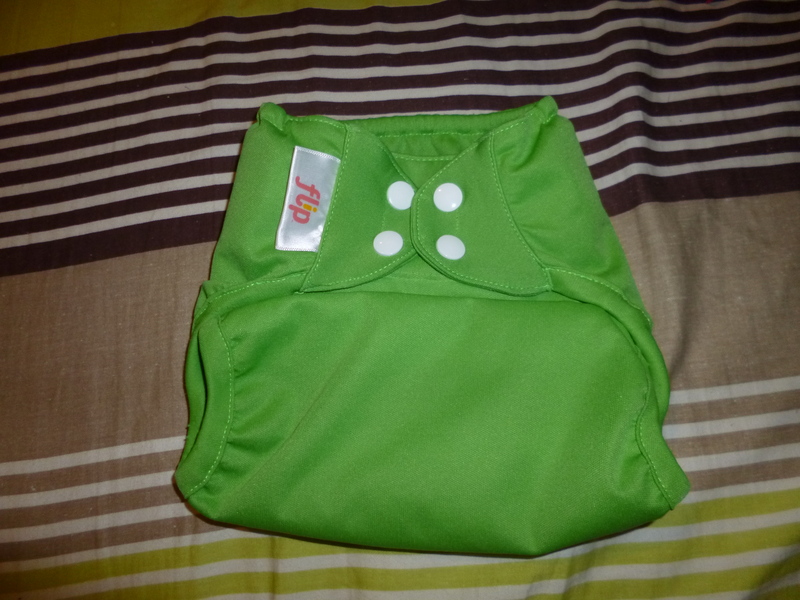 The inside of this diaper is a stay dry material on top and microfiber sewn in at the back. The stay dry feel is very soft and I would say very comfortable for Leo. What bugs me: This diaper seems to run smaller than most diapers that I have. As you can see, the rise is pretty low. Leo is already unsnapped at the rise setting and the snap closures are only 1 away from the last! I honestly don’t think that this diaper can fit him long (maybe until he’s a year old?). The AIO is also pretty bulky, as most AIO’s are. 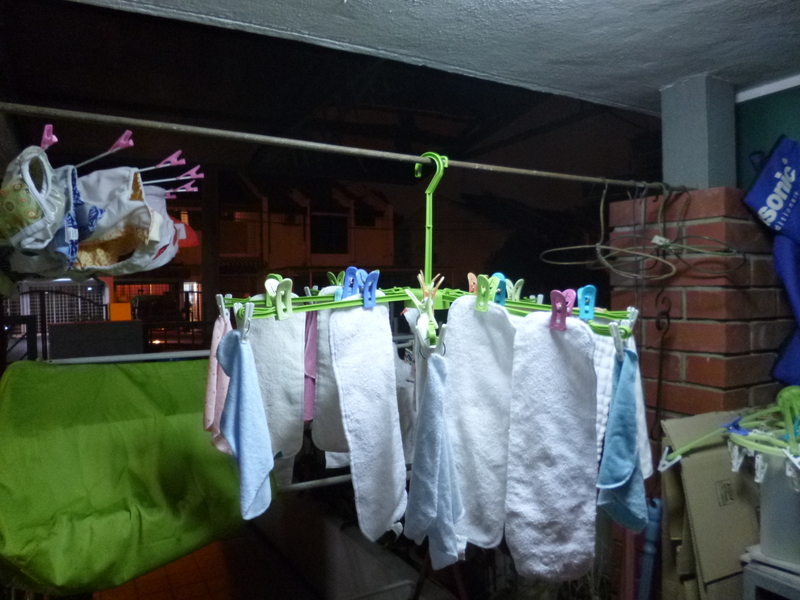 Because this diaper does not have flaps/inserts/boosters hanging out, it does take a long time to dry. 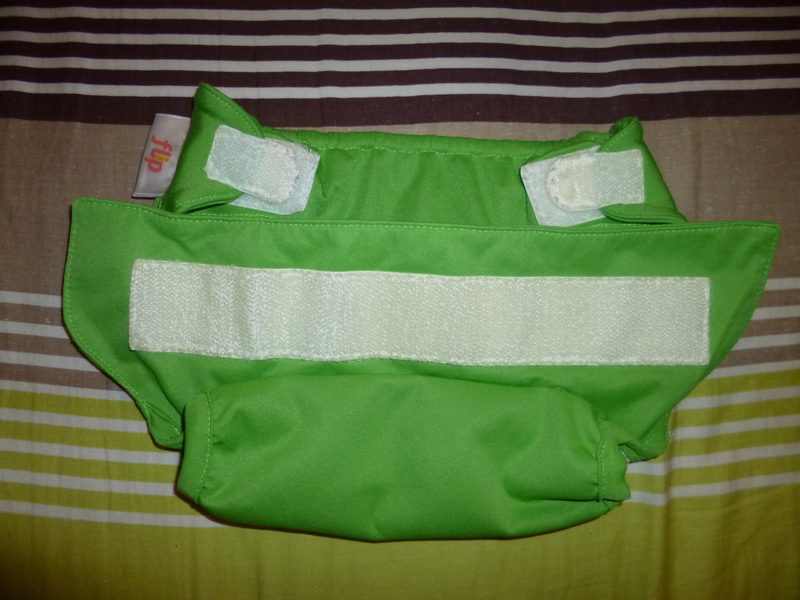 What I like: At first glance, this diaper looks big and bulky (probably because the snap closure flap looks so wide. But to my finding, it fits perfectly and has a very soft minky fabric. 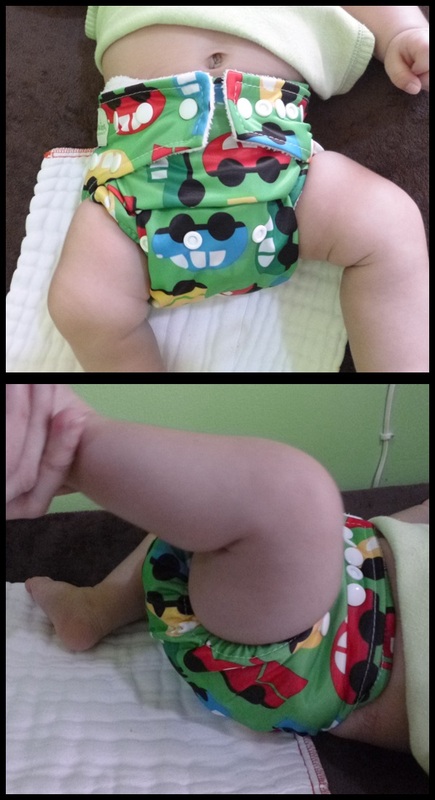 I was not a fan of minky diapers, but BBH changed my mind. I have had poop on this diaper and I was amazed to find that it didn’t leak or blowout! Looking at the leg gussets, I thought that this diaper would definitely blowout, and I was wrong. It contained all the mess and I was a happy Mama! As an AIO diaper, just like the Thirsties, it has a suede cloth lining and microfiber sewn in (no flaps, hanging inserts whatsoever). 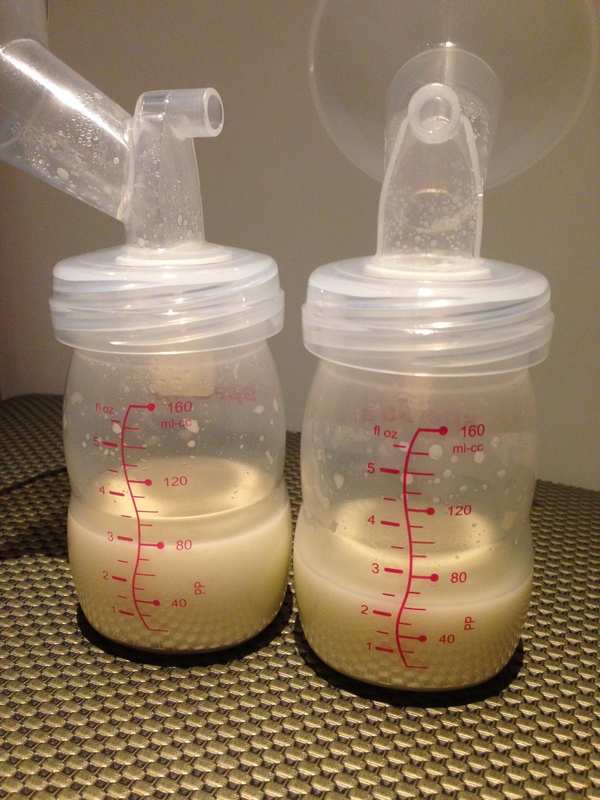 It is not as bulky as the Thirsties and does dry faster too. What bugs me: I had Leo in it for about 4 hours in it while we were out. I found that the side of his thighs were wet and had to change his jeans. The diaper was probably full and it wicked onto the leg gussets and his jeans. Absorbency wise, this AIO does not hold as much. I wished they have made the leg gusset go inwards rather than outwards. What I like: Even though Bum Genius has a very wide crotch area, the Elemental is the trimmest. It does not bulk like the pocket diapers. It is also very absorbent and Leo can go pretty long in it before changing. This diaper is also easy to put on (with 2 snaps on each closure) and probably will be easy for babysitters too. Among all the Bum Genius brands, I would go for the Elemental. What bugs me: For the price of an Elemental, I would rather get Grovia/Simplex/Itti Bitti. The material on made on those other 3 brands feels sturdier and long lasting. 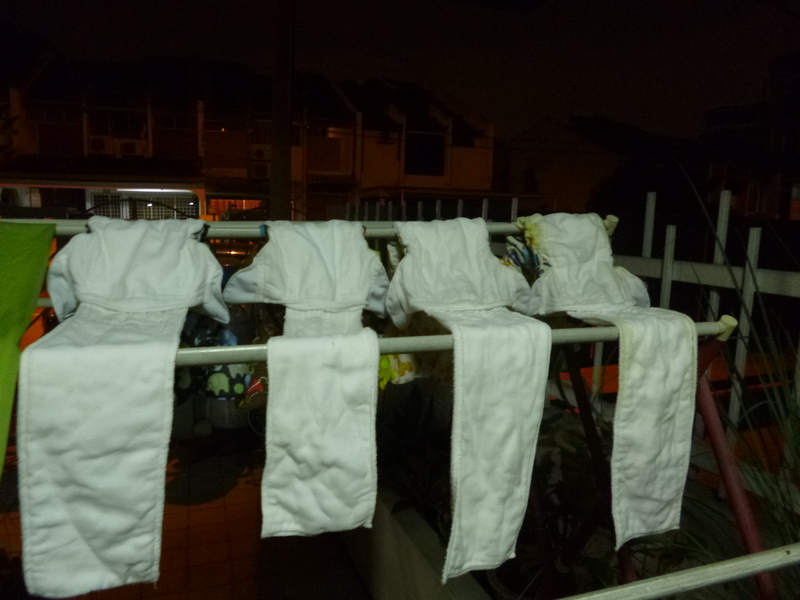 This diaper also takes a long time to dry. 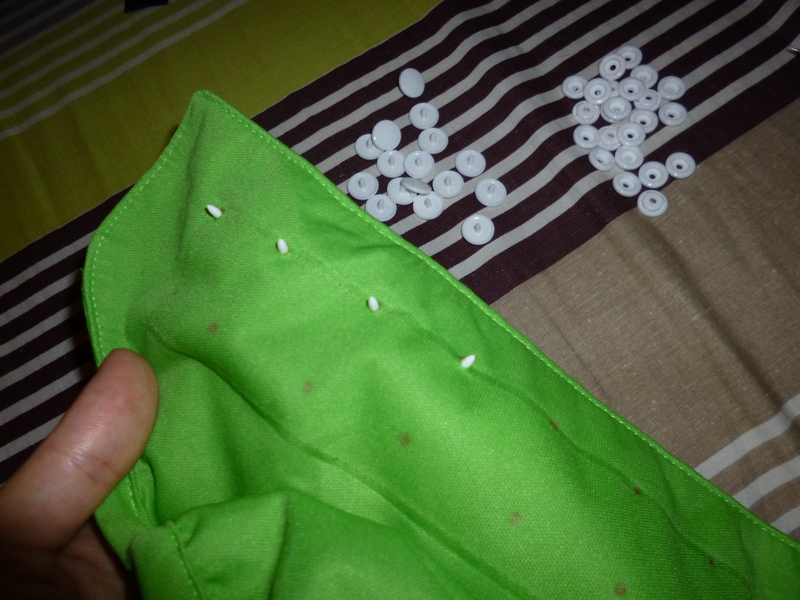 There are 2 layers of soakers sewn in therefore you have to lay it out nicely before hanging it to dry. Other than that, I would say there are no cons to the Elemental. What I like: If I want to save more money, this is the diaper system I will stick to. Just like prefolds and covers, the Flip allows you to reuse the covers and just change the inserts. 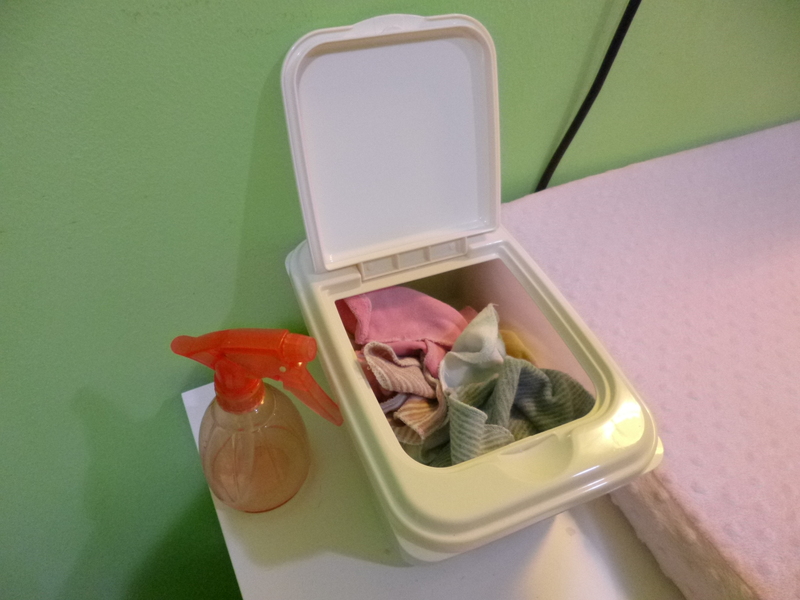 I like this system a lot because it is so easy and I can reuse the covers 2-3 times before washing (unless I got poop on the cover). The Flip comes with the special stay dry insert which I only need to lay it in the diaper and use (no need to fold adjust anything). 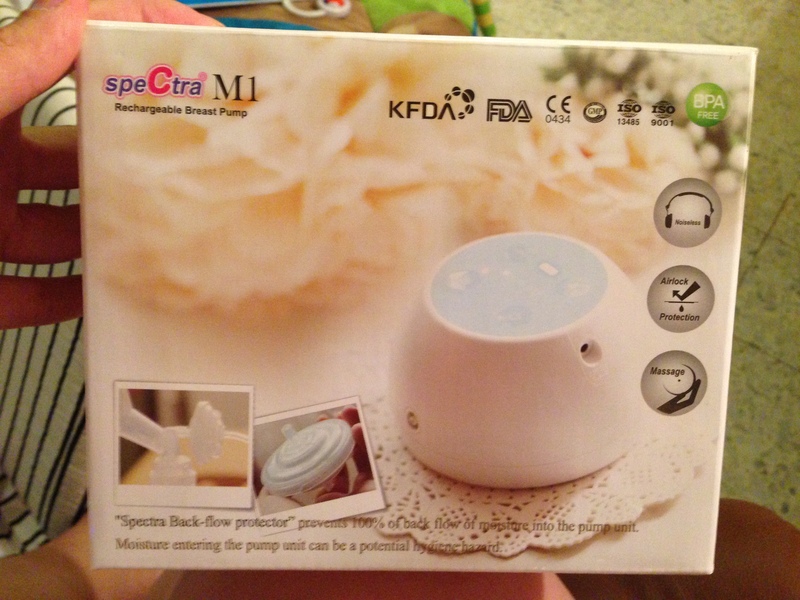 For daytime use, it is convenient, easy and economical. What bugs me: When I lay the insert in, it is not snapped onto the cover. Often, the insert moves while I change Leo. So sometimes, the insert is “senget” inside. However, I have had no leaks or blowouts in the Flip. This is also a brand from Bum Genius, so it is wide at the crotch and a little bit bulky. 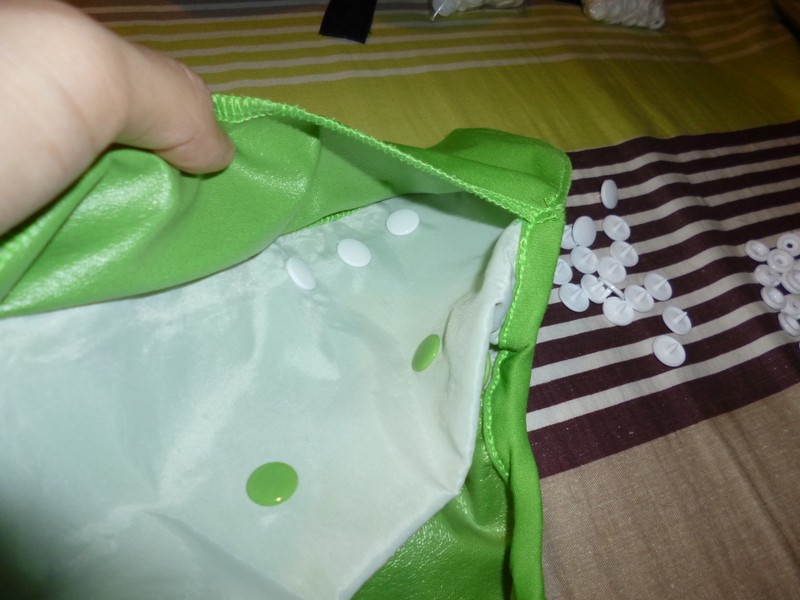 It would be even more bulky if you lay 2 inserts in for more absorbency. 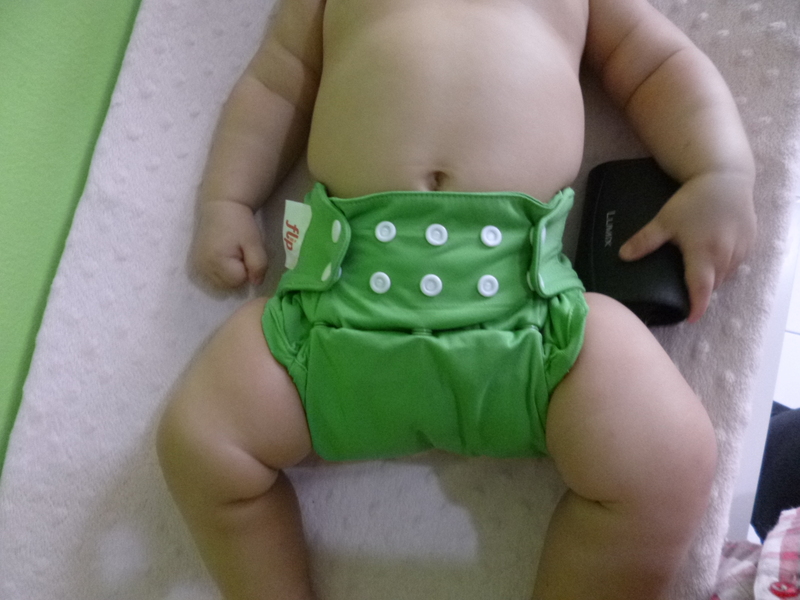 What I like: I love the Velcro/hook and loop on this diaper. 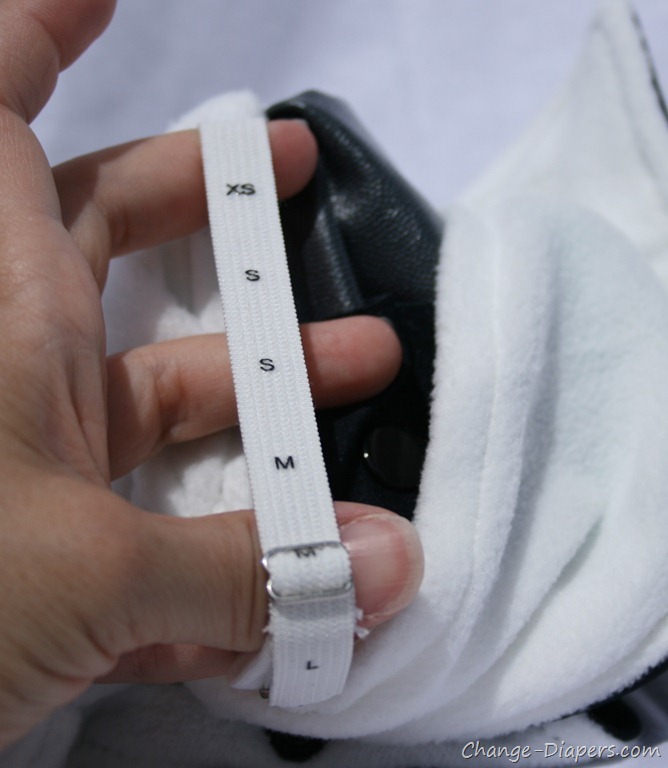 It has the sturdiest and strong closure compared to other brand’s Velcro. 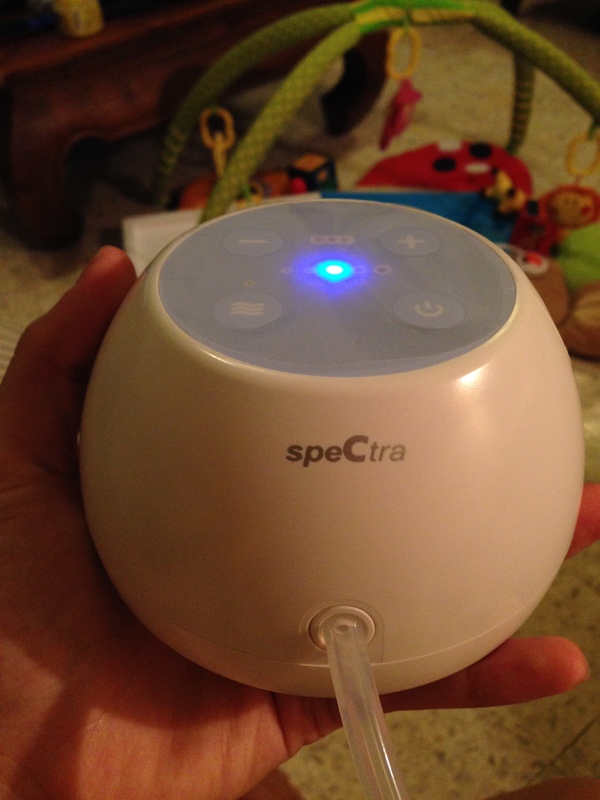 No doubt the Grovia diaper is pretty expensive but you do pay for the quality. The soaker on this diaper is also very absorbent. I had Leo in it for almost 6 hours (I know it’s too long, but I wanted to test the absorbency), it did not leak or wick onto his clothes. 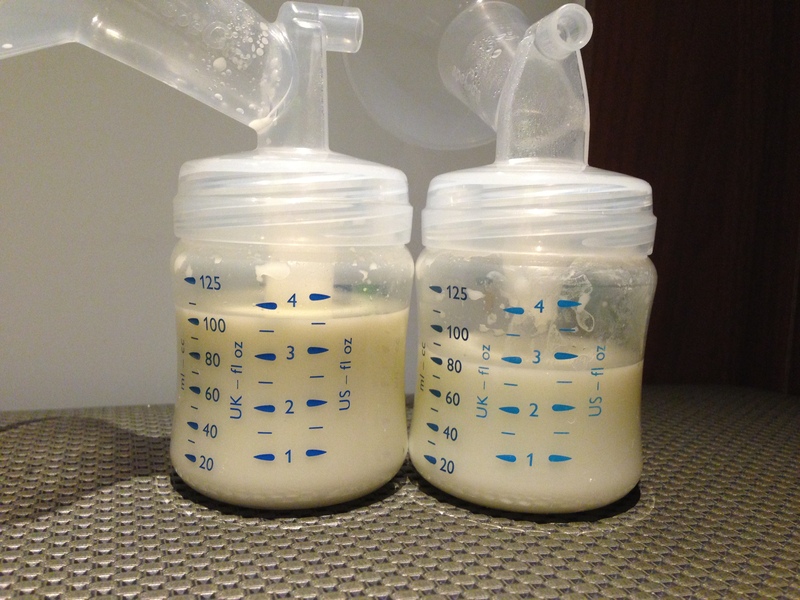 It is also easy to manage as you only need to snap the soaker off the diaper (if I have poop, I only spray off the soaker). 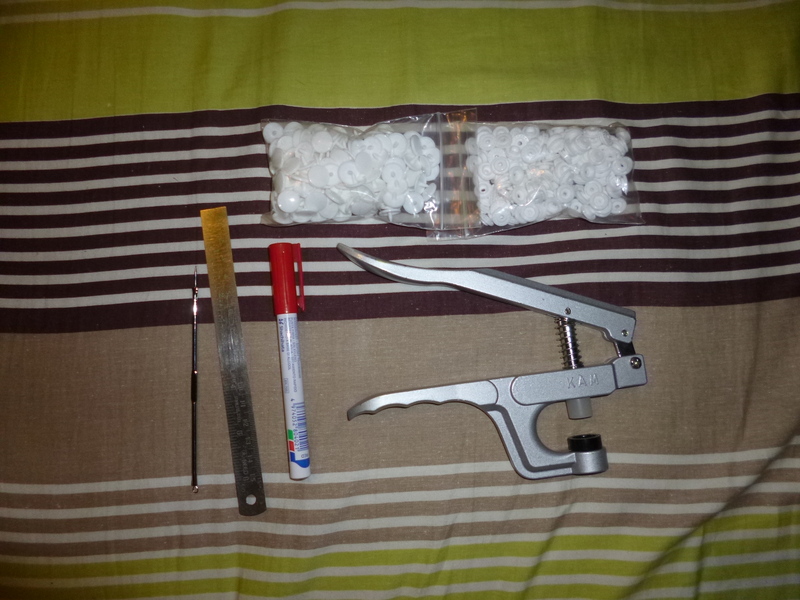 The shells can be reused, but most of the time, I just wash it because I don’t have extra soakers to change anyway. 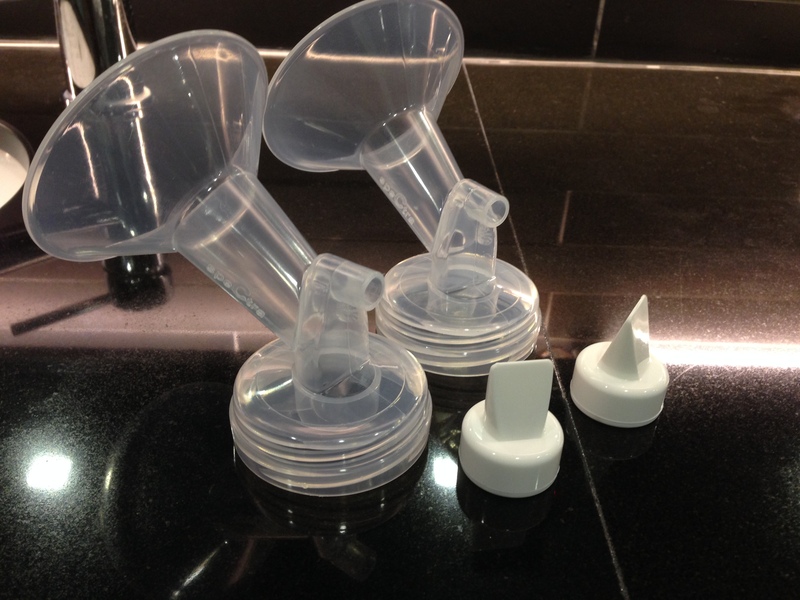 The soaker has a waterproof backing so it doesn’t get the shell wet. 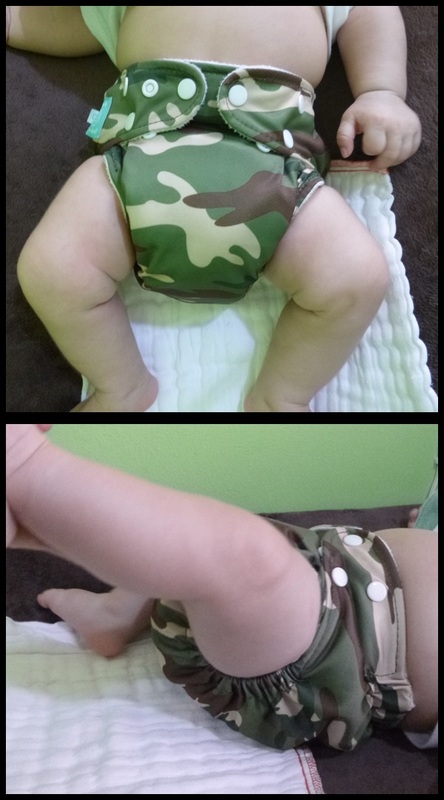 I would say this is a good swim diaper too because the shell has a layer of cloth and will feel soft on baby. The soaker has a waterproof backing so it doesn’t get the shell wet. I wouldn’t mind to have all Grovia hybrids in my stash J even if they are all Velcro! What bugs me: The price! LOL. If it was cheaper, I would buy more new ones and enjoy the simplicity or this diaper. Having said how absorbent the soaker is, it does take a very long time to dry. Longer than the AIO’s I have. What I like: This diaper is very trim! (Probably the 2nd trimmest diaper besides the Simplex). It fits Leo very well and the minky fabric is soft. There are many layers of absorbency in Tutto and I can customize it the way I want. Leo is a boy so I normally fold more absorbency towards the front. No leaks or blowouts. This diaper is easy to put on Leo too as it only has 2 snaps on the closure (I am a fan of 2 snaps… any more than that, I think twice before purchasing). 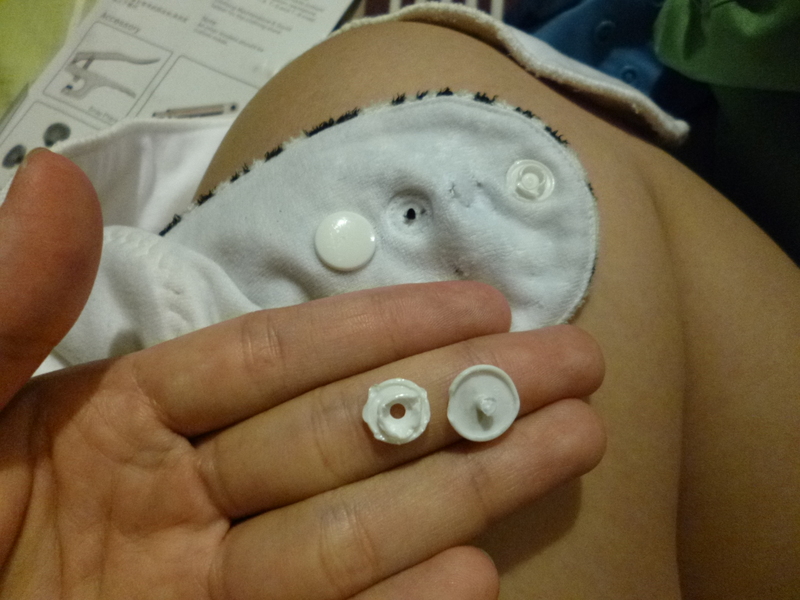 What bugs me: I’ve learn to love the Itti Bitti series, BUT… there are a lot of snaps inside the diaper! Literally. It allows you to customize many options but it is too overwhelming, especially for dads/babysitters/caregivers. I have not send this diaper for daycare use yet because I’m not sure if they will do it right or wondering how come there are so many flaps around the inside. I always prep my diapers before putting them away or sending to daycare, but I will not send this yet. Even though the Tutto is a OS diaper, again, I don’t think it will fit Leo until he’s 1.5 or 2 years old. It runs pretty small in sizing BUT if you have a newborn, I would suggest the Tutto as you can use it for at least a year. 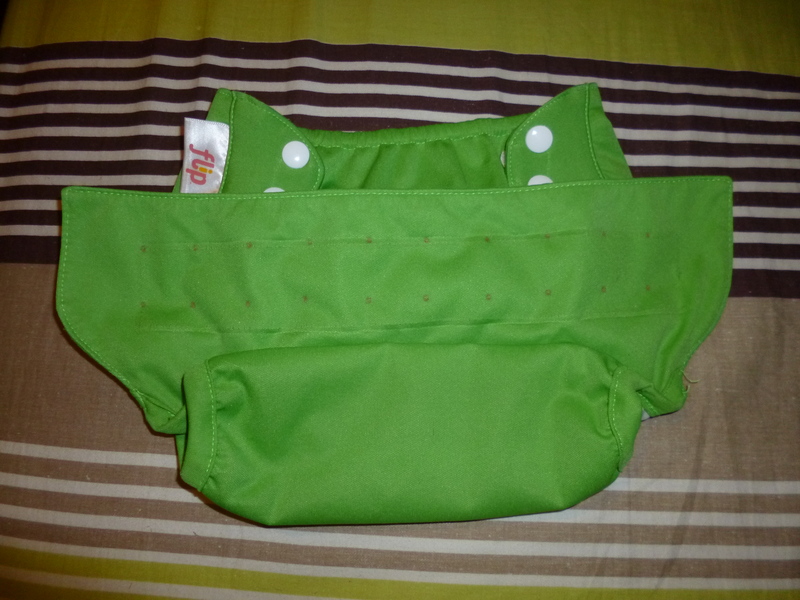 What I like: As all IB diapers are, very trim. It fits Leo perfectly and I can tell he feels comfortable wearing this diaper. The AIO is less complicated than the Tutto or the SIO. Similar to Simplex, it only has one flap/tongue insert hanging. Very easy and quick to put on Leo even though he squirms around. What bugs me: Besides a longer drying time, I have no problems with this diaper. I only hope that Leo can fit in them longer. He is already wearing the largest size and I am not sure if he can fit until he’s 2. IB diaper range does run smaller in sizing compared to most brands I have tried. What I like: I like the SIO more than the AIO because of the absorbency. The SIO can hold more and I can customize the inserts as you like. Even with all the inserts/boosters in the diaper, it is still very trim. No blowouts or leaking happened to Leo. I have also read that the SIO can be used a night time diaper. I have not personally tried it but I will after using it more often. 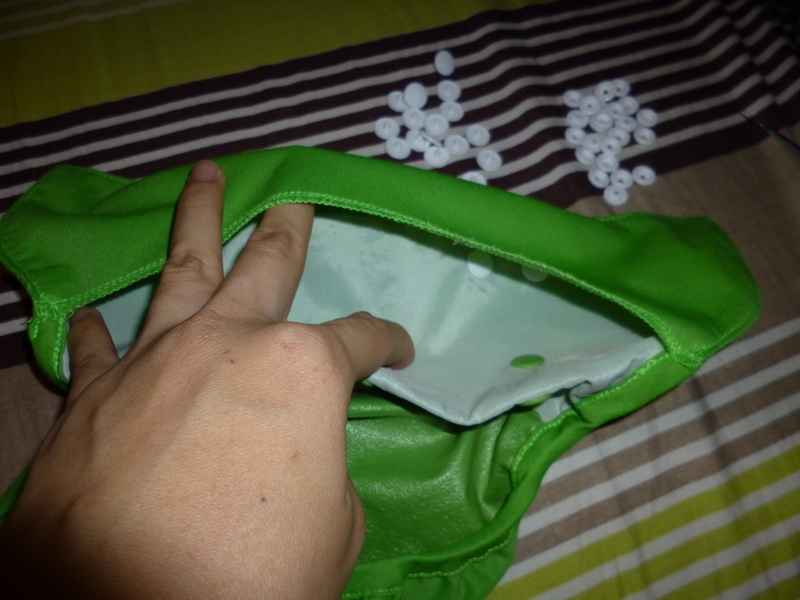 The inserts dry quickly because you can unsnap the inserts to dry separately. And of course, if I liked minky fabric, I would get a ton of IB in my stash! What bugs me: Again, just like the Tutto. The snaps inside can be confusing and overwhelming. If I want convenient/easy to use diapers, I won’t for go for the SIO. I will also not use this diaper for daycare yet until the caregivers are more comfortable with cloth diapers first. This diaper is pretty expensive. If I wanted to save money, I will not get the IB brand. Maybe the Grovia would be better for its quality and versatility, but not IB. Are you a user of any of these diapers? If yes, please let me know what you think of them! Share it with me in the comments below. Where do you put the dirty diapers? How do you hang them dry? This is our cloth diaper set up and what we use for Leo. His diapers are ready-to-use in the first drawer. I keep them there so that it is easy to change him. He moves a lot now so I have to keep an eye for him or he might fall off the change table! I have a little more diapers now. I sold off those that I did not use and got more of the ones that I like that works best for us. I will make a cloth diaper stash update soon. I used to fold my cloth wipes so that they “pop-out” when I pull them out just like normal wipes, but now I don’t. I figured there is no need to fold them nicely because at the end, I am gonna need one fast and sometimes, they get stuck in the wipes container. This was a regular disposable wipes container, which I am no longer using. This container cannot fit as many cloth wipes too. It was only more trouble to fold them and put it in. Now I use a normal container that I had bought from Daiso for RM5. Super cheap! And I can keep ALL my cloth wipes in it. Just throw them in and use whenever I need. I do not pre-wet my wipes because I find it yucky (bring soiled with water for a few days?) I just spray on each wipe as I use. What is in my spray bottle? Only water. I do not use any soap or special solution. I did, at one time wanted to make my own solution or maybe just a little baby soap but there is really no need for that. I find that wiping Leo with water alone is good enough to clean all the mess. Again… I can use as many wipes as I need. Cloth wipes (I use regular wash cloths), are so much bigger and can clean very well compared to disposable wipes/wet tissues. If you remember my previous post on vacation —–> HERE. I mentioned that on disposables, I had to change him a few times when his diaper was not even full because we went swimming. With so many changes, I felt bad that I threw away diapers just like that. With cloth, I do not have to worry because I will wash them anyway. I can use as many as I’d like. Same as wipes… I use 2-3- disposable wipes to clean a mess. That is a lot of money in the long run. Once I remove his dirty diaper, I put it into the diaper bin/wetbag. I use a wetbag when I am away from home/daycare. At home, I just open the lid of the bin and throw it in. 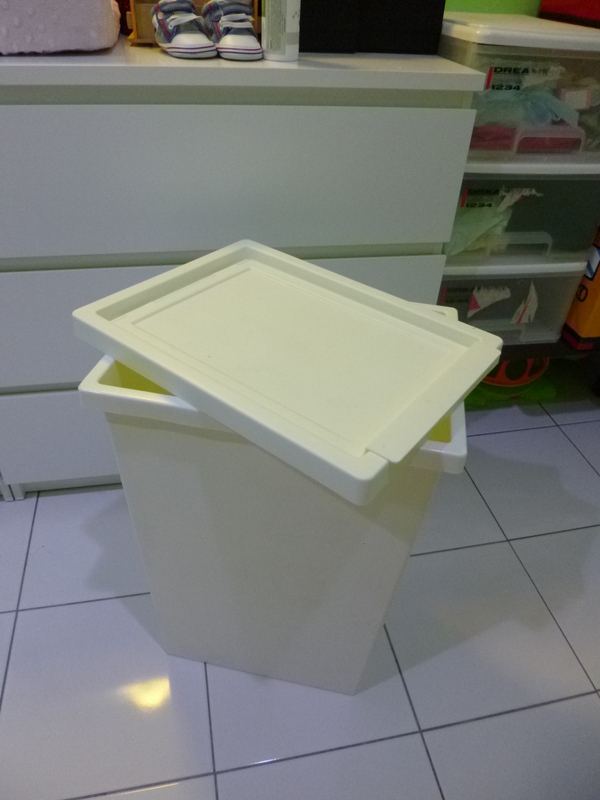 The bin I am using is a regular trash bin from IKEA. 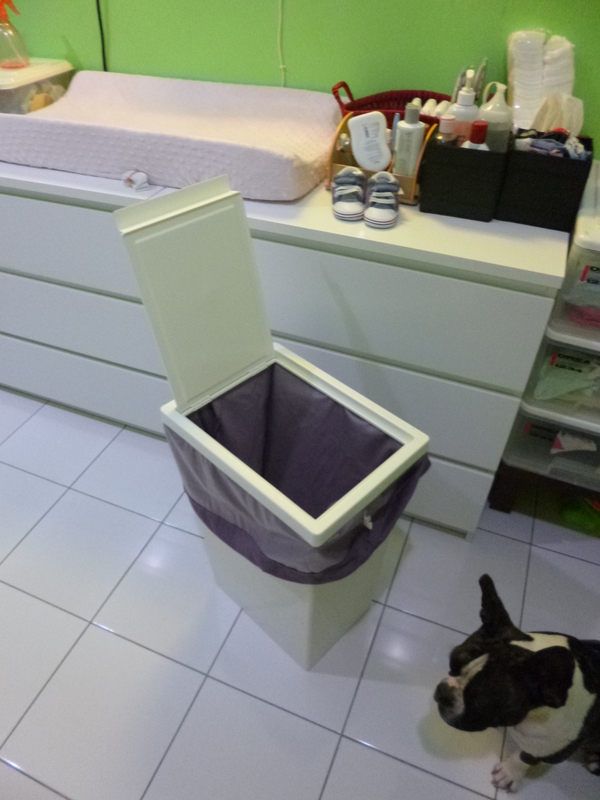 I think I got it at RM45 or so… it is easy to use and in actual fact, you can just use a normal trash bin. No need for anything special, really. I put a pail liner in the bin so that it keeps the mess or if I have any wet diapers in there. The liner is waterproof as well (just like the outside of a cloth diaper). 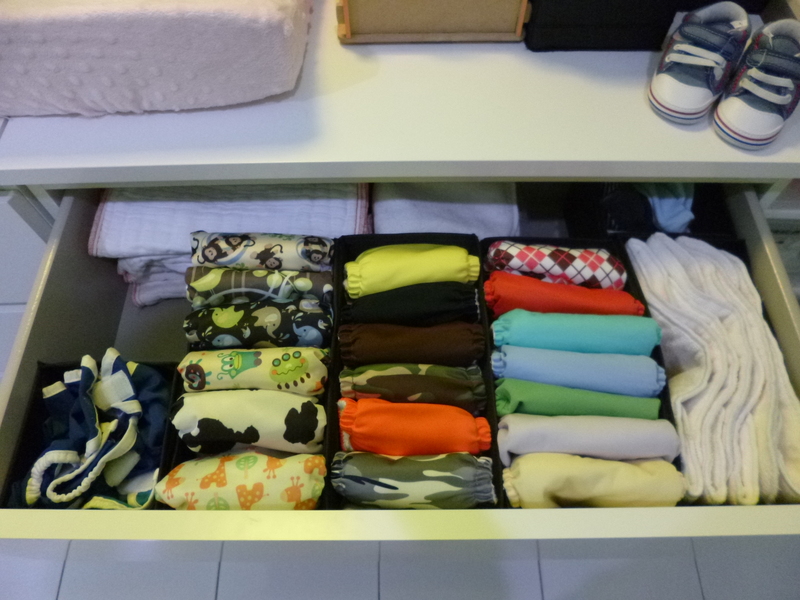 When it is laundry day, I simply take off the lid, take the liner to my washing area and start laundry. That’s all. I have 2 pail liners to rotate. The liners I use is from Grovia. Sounds easy? YES, it is that simple! 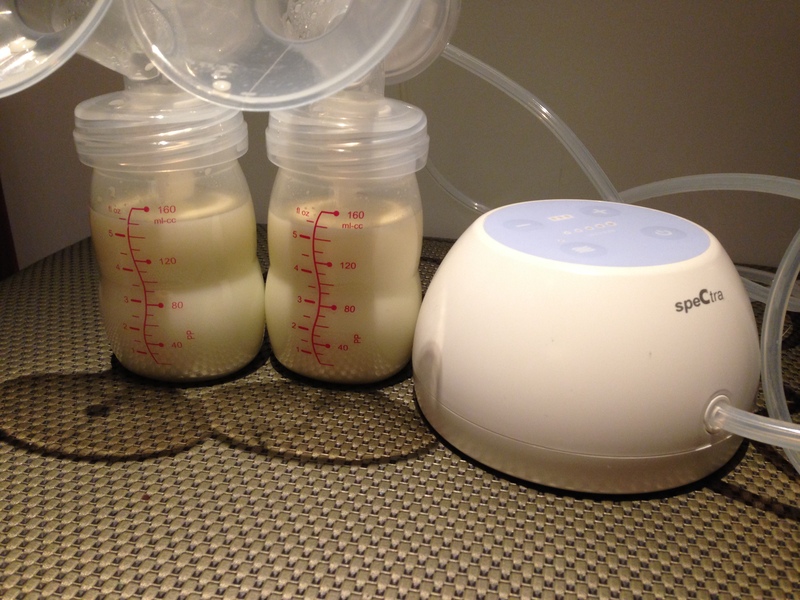 I use full water capacity to rinse diapers because rinsing is the most important part. It removes all the dirt and makes the diapers cleaner. 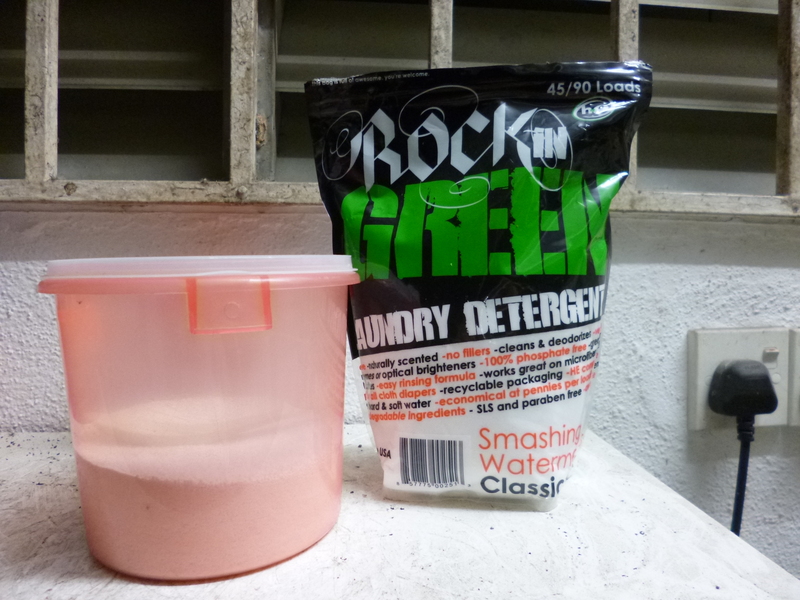 I use Rockin Green detergent as it is the best cloth diaper safe detergent. 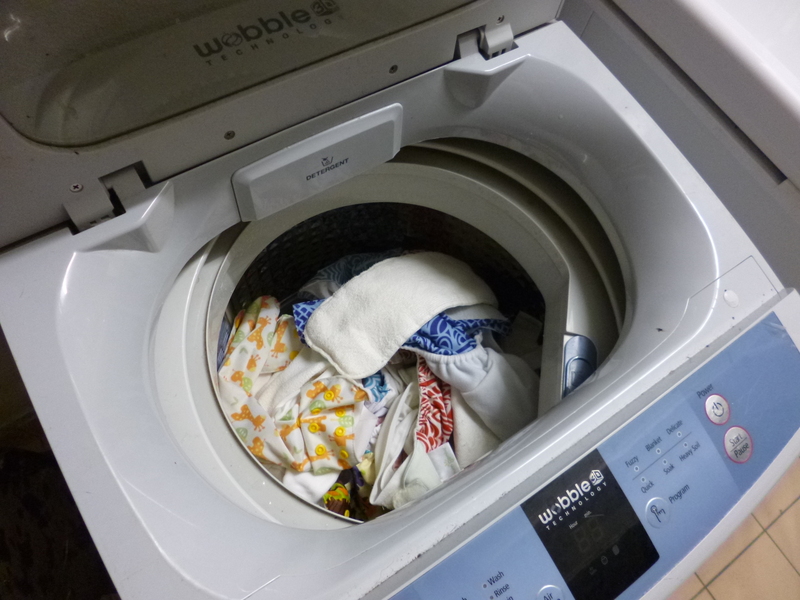 Using non cloth diaper detergent may cause your diapers to repel water… only if you do it VERY often. I bought this pack for RM55 and I am still using the same first pack that I bought. It has been 5 months and I still have more than 1/3 of detergent! They last very long and not expensive at all! Now that Leo is taking semi solids once a day, his poop may not be 100% water soluble (but still, they wash clean almost99%). 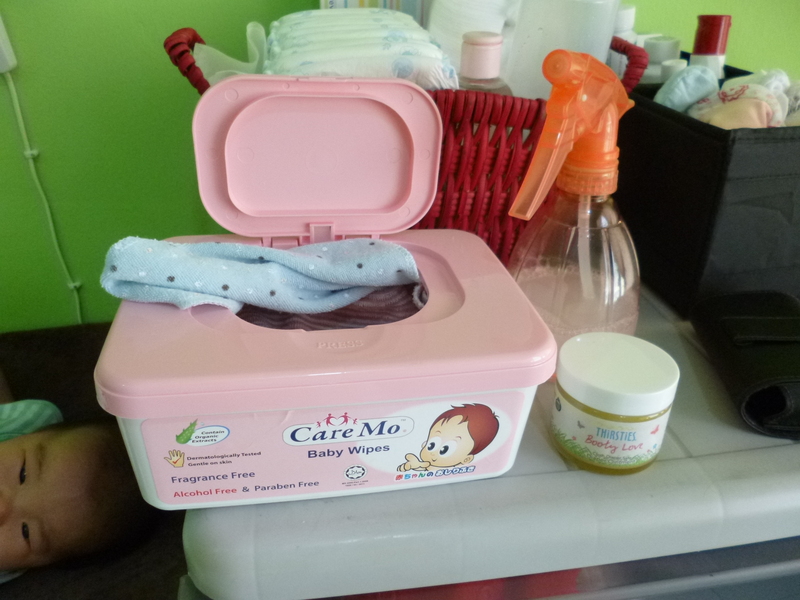 I use a diaper liner to prevent staining or just so it is easy to dispose of the messy poop and then wash the diaper as usual. 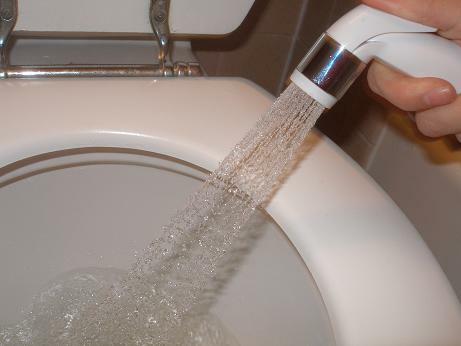 You can now get flushable liners easily too. When Leo has a supermessy poopy diaper (which only happened twice so far), I will just spray it off in my toilet with the water sprayer. It takes less than a minute and then put it in the pain as usual with the other diapers. Leo rarely develops diaper rashes. He will only get them when his diaper is not changed often enough. You can get cloth diaper safe rash cream pretty easily now. I use Thirsties Booty Love which I bought at RM25 per jar. Yes, it costs more than the normal Drapolene or Bepenthen but again, cloth diaper safe cream is made of natural ingredients. 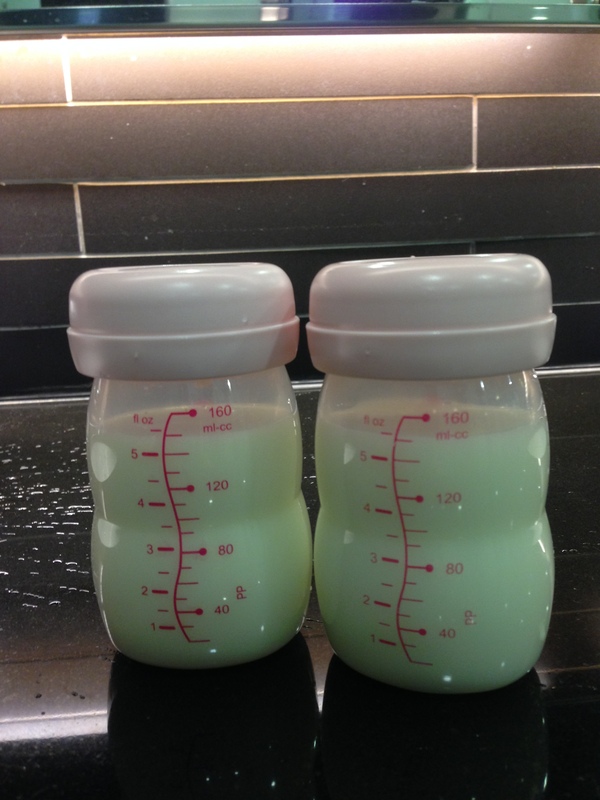 If you get some organic ointment as diaper cream, it may cost even more. Normal rash cream can work too but it may cause your cloth diapers to repel water in the long run. But if you do have to use those, just put a nappy liner on. It will protect the diaper from the cream. p/s: you diaper will not repel water if you use normal cream/normal detergent once. It is only if you keep using them for months! So there you have it. 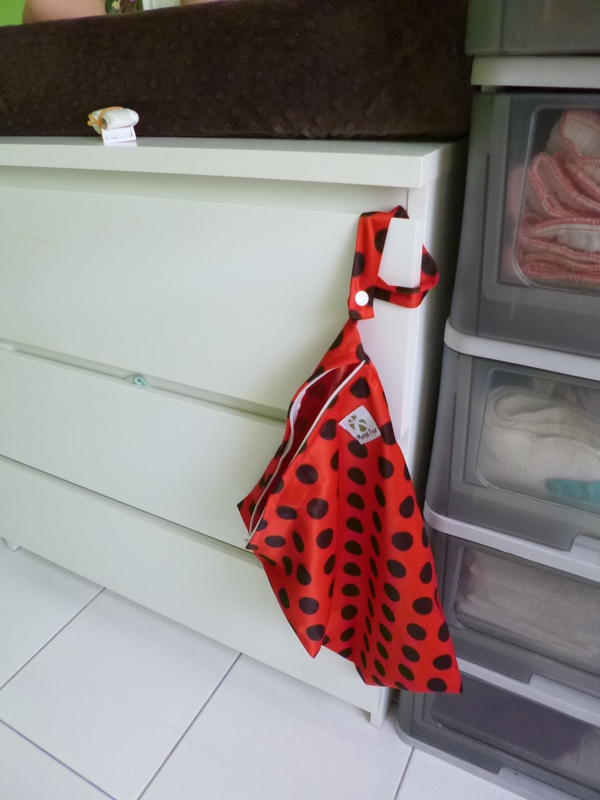 I hope I answered most of your questions regarding cloth diapering and I hope that you may think about switching to cloth or at least try it out. If you have any feedback/questions do share them with me in the comments below. If you do cloth diaper, let me know your routine and how you handle them. Alright! I have now tried some of the other diaper brands, so now it’s review time! What I like: I absolutely ADORE this diaper! This is by far the BEST AIO I have ever used (yes, even better than bumGenius elemental). Leo is at the smallest rise setting and it fits him perfect! This diaper is very trim and the leg gussets are very well made. Somehow it is tight but not overly tight and it never leaves any red marks on Leo. The waterproof material is also fantastic. It is not plastic-ish and it feels very durable. Another col thing about this AIO is that it has 2 different materials you can choose to touch baby’s skin; Bird’s eye cotton or fleece. Cotton is a natural material and fleece is a stay-dry material. 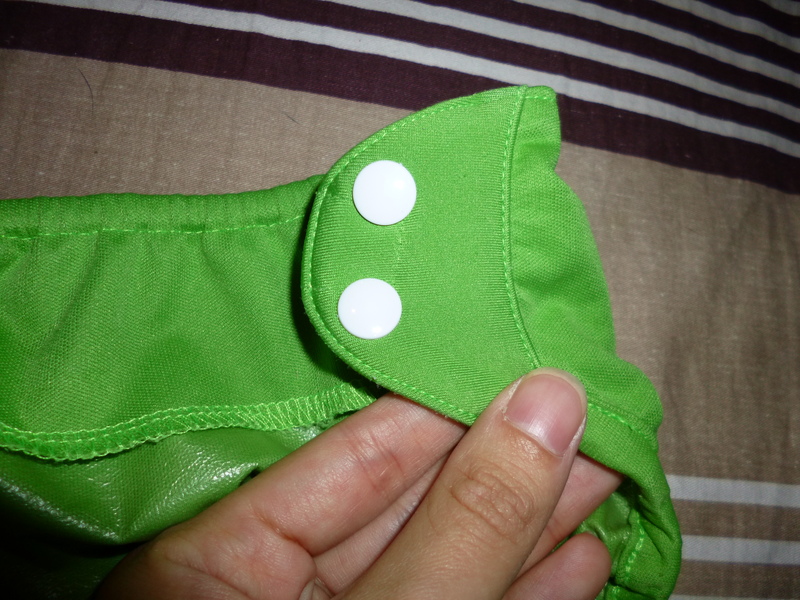 I personally used the stay-dry material so that Leo will have a dry bum and I not have to fold the tongue insert inside. This diaper is super absorbent and very easy to use (only 2 snaps per side). Initially, I only had 2 pieces of this, and because it was fantastic, I had bought another 5 from another mom who was selling hers at a cheaper rate. Really worth every sen! What bugs me: NOTHING! Many claim that AIO takes a longer time to dry, but this is not so. I only find that true in bumGenius elemental because the insert does not fold out. I love my simplex! What bugs me: The snaps. At first I thought I would not be bothered with how many snaps there are on a diaper. I was so wrong! With a wiggly baby, trust me… it does matter! This diaper has one hip snap and three waist snaps. THREE!!! Altogether, there are 4 on each side to fasten. Also, this diaper seems to run on the smaller side. Leo is 2.5 months, about 6.5 kg and he is already on the first snap rise and often I feel that it is too tight. It can definitely fit a newborn but I doubt it’ll go all the way to potty training. We’ll see. 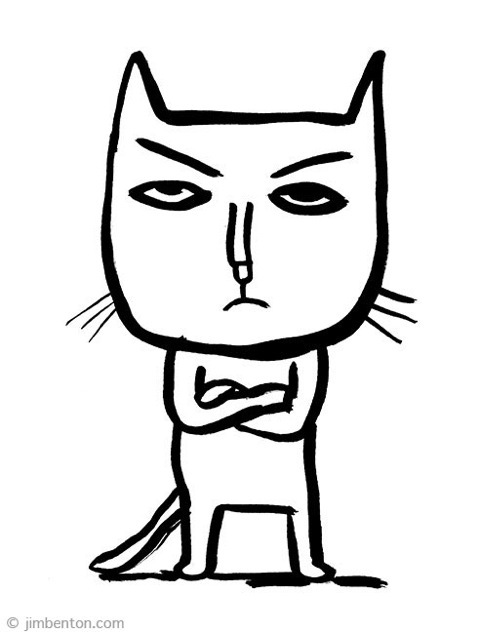 Also, because of the rise, I do not fasten the hip snap. I figured with 3 waist snaps, there is no need for a hip snap and no way this diaper could fall off! Haha! What I like: This is another diaper I will recommend! I really love how trim this diaper is. It is probably due to the fast that the OS adjustments are “bra-like” straps at the leg gussets and not snap rises. As you can see in the picture above, it fits him very well and not bulky at all. The inner fleece material is great! It does not feel wet and the large opening makes it easy to “stuff” the diaper. Charlie Banana also has great prints and colors. 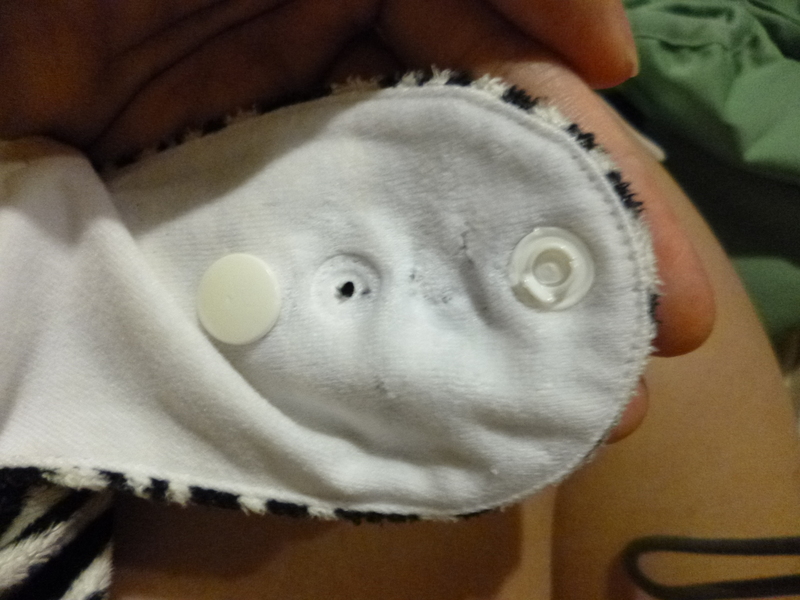 Even though it has 3 snaps to fasten on each side, I never had a problem with it (I did not get confused as to which snap is where, but I did with Bumkins). It is super easy and the material feels very durable. I love this diaper very much! What bugs me: I only hope that the strap adjustment band would last longer. If it does, this diaper is perfect! Other than that, I have no complaints about Charlie Banana. Go get some if you can! What I like: I like the AI2 system where you can choose to stuff the diaper or just snap it on the outside. This way, you don’t have to change the cover as often. Their inserts are highly absorbent! 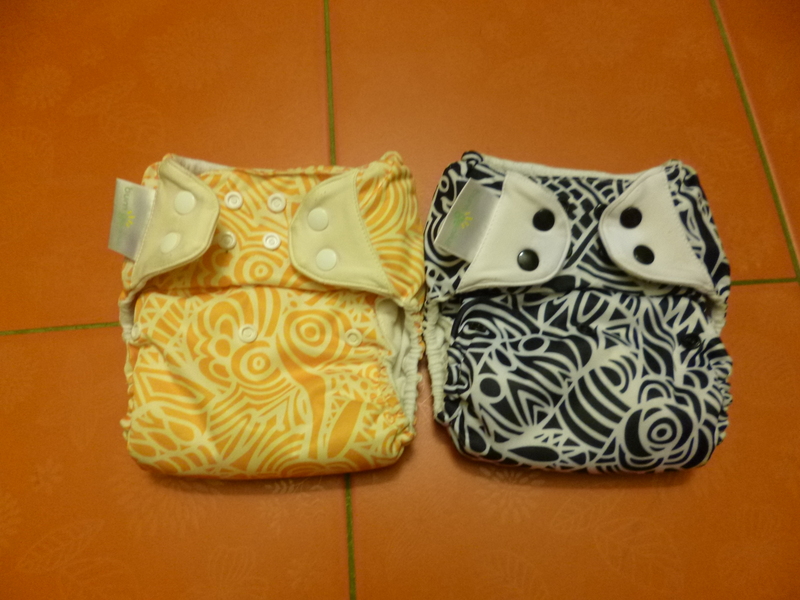 Each diaper comes with 2 inserts; one charcoal bamboo and one organic cotton/microfiber dual side. Both their inserts are super absorbent. However, there are 2 types to their charcoal insert. Read below. This diaper has 4 snaps on each side. TOTAL OF 8!!! It is a lot of snaps and a little turn off for me 😦 Also, the back gusset seems tight even when I did not do the waist snaps tight. This diaper is also bulky. I tried to stuff it, but it didn’t look proper because the insert would jut out at the back! It is a OS diaper and I have it snap to the 2nd rise. 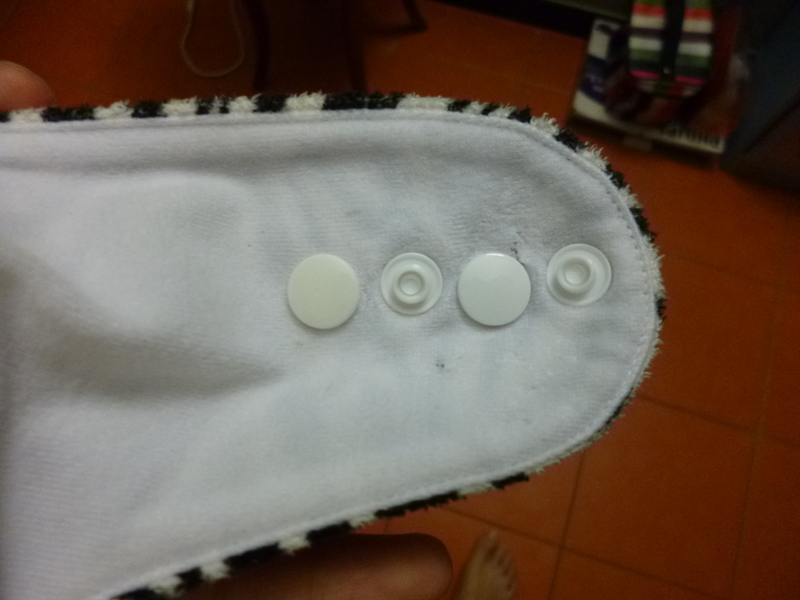 Unlike bumGenius, their inserts have rise adjustments as well. None on Raf Raf so… it is not my favorite diaper, sadly. Maybe he can wear it better when he’s older? Although I was so fascinated when the sales person demo-ed and showed me how the diaper works in the baby expo, I have 8 of these diapers. But only used 3. There you have it. My review and my experience with these diapers so far. Please know that every baby is different and shaped different. What may not fit my son, may fit yours. So please try it first and just use my review as a guide. So what are your favorite dipes? Please do share it with me! I know there are so many brands out there I’ve yet to try! Last Thursday, I was invited to attend a roadshow by Kinderdijk Sdn. Bhd. on Child Safety. The purpose of their roadshow is to create awareness among parents on the safety of their children especially when travelling. We also know that not many Malaysians are keen on purchasing car seats for their kids but it is actually so very important to do so. Too many accidents happen and you’ll never know what could happen on the road (I wouldn’t want my child to be flung out the car or even move about during the ride). Kinderdijk is the distributor for Graco and Aprica products here in Malaysia. During the show they had a talk on newborn baby care and the characteristics of a newborn (I came slightly late because Leo was sleeping till 10am!). After that, they demonstrated the newest products from Aprica and Graco. From baby swings, to car seats, to strollers, and then playpens. I did like Graco products, even before this roadshow. I remember wanting to get the travel system before we actually had a baby, but during the course of the pregnancy, people had given us baby items and we did not need to buy. Graco is well known in the States and I have read/seen reviews on their products. I also learned that Aprica is from Japan. We all know that Japanese products are known for their quality so I am thrilled to find out more on Aprica. I found that they are little similar to Combi (light weight, easy to use, high end strollers with insulators) but I have yet to try any of their products. 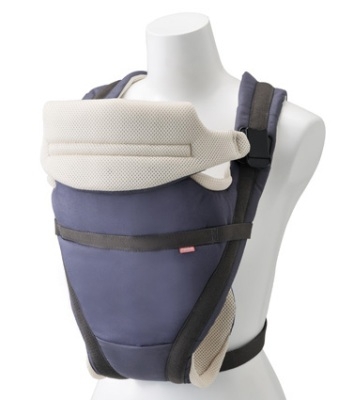 In the media kit/goodie bag, they had given us an Aprica Easy-Touch Light baby carrier. I haven’t had the chance to use it on Leo yet because I read that it is for babies 4 months and up. Leo is only 2.5 months so maybe that’ll have to wait. However, I would like to address that not all baby carriers are safe and some of them (because of the way it is made and their function) can cause hip dysplasia in infants and babies. We do not hear of this condition commonly here but it does happen. 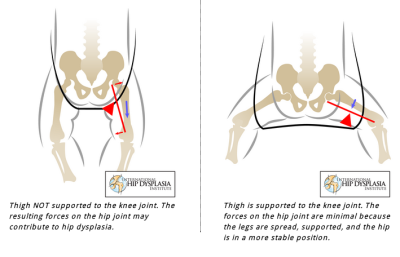 Baby’s hips are soft and still growing/progressing, so putting a certain pressure on their hip/pelvis can cause dislocation. As you can see in the picture, it is not advisable for babies to be in carriers that puts pressure on their crotch area and forces their legs to drop/hang down like that. I am not saying that I am against these carriers, but just a precaution on what could happen long term. I am supporting baby wearing 100% but hoping that parents do it correctly to protect their children and minimize risks for hip dysplasia. I currently own an Ergo organic baby carrier and I have to say, it is the best purchase I have ever made, and my husband agrees. 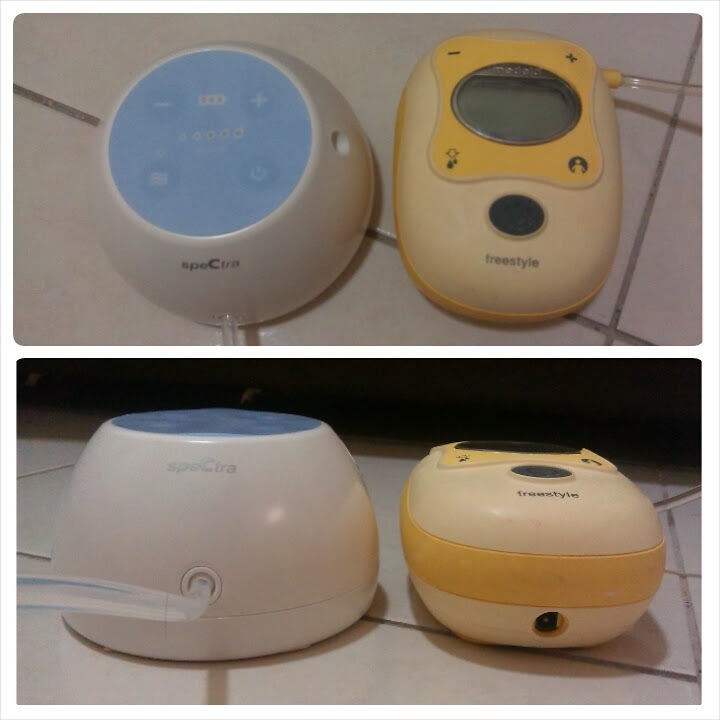 I bought it 2nd hand from another mommy and never regretted that decision. The original brand new would be too expensive for us (costing around RM300+-600+ each, depending on design, color and type), so I am glad we got it cheaper 2nd hand. Whenever I wear Leo in it, he sleeps and seldom make a fuss! Even at home, hubby wears it and he falls asleep. 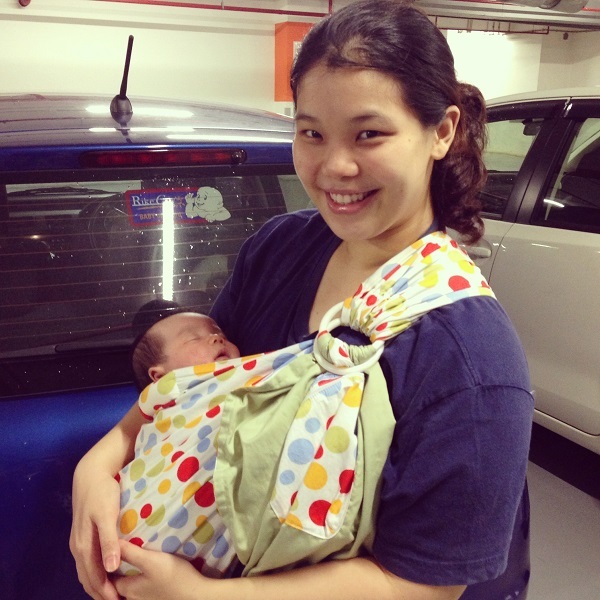 I used to sling Leo when he was younger because he was so small and did not have any neck control at all. The ring sling kept him snug and close to me. He would also fall asleep in it. 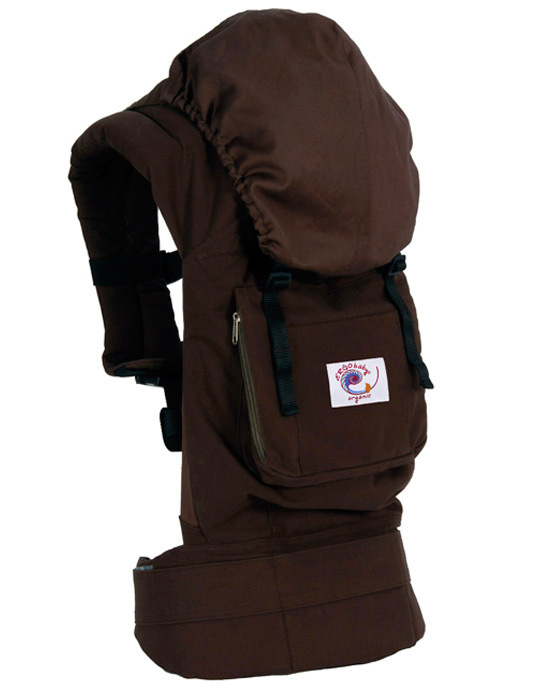 We also have the Jumpsac Orbit carrier, very similar to the Ergo, but we have not used it yet. Not sure why, but maybe because we have the Ergo with us already or maybe just lazy to get the other one upstairs. These carriers are all inward facing or back carry only. It is the safest way to wear your baby in it. Many claim that they want forward facing carriers because baby wants to “see the world”, but don’t all babies? They are attracted to lights, colors and sounds! If you look at the physical anatomy (the way our body is structured), it doesn’t quite seem to fit front facing. 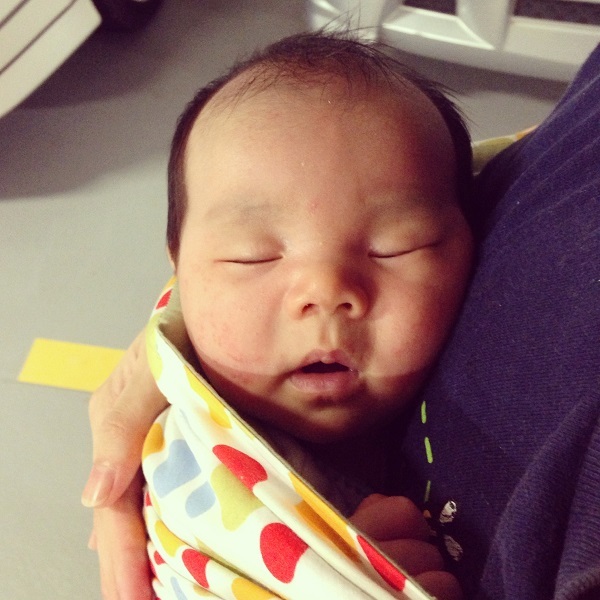 There is too much weight distribution on the baby’s chest/hips and his neck, because babies tend to lean forward. Anyway, I will give the Aprica one a try once Leo can fit into it properly and see how it goes. It does seem very light weight which great! Maybe these carriers are meant for older babies? When they have enough neck control? When their bones are more developed/stronger? What do you think? 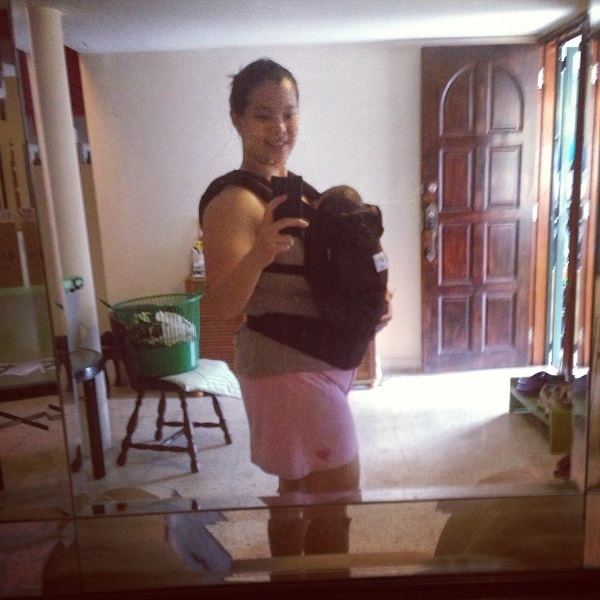 If you own an Aprica/Baby Bjorn/Ergo/Boba or any other baby carriers, do comment below and tell me your experience. I would really like to know!